EMET College organizes in-house training and courses for companies and instituitions. The experienced coaches assist in providing support for the enhancement of all company processes. For EMET College we created a modern website. The back-end of the website has been developed specially for the EMET website and makes use of a MySQL database and PHP scripting. This allows the customer to change the website content at any time without extra costs. 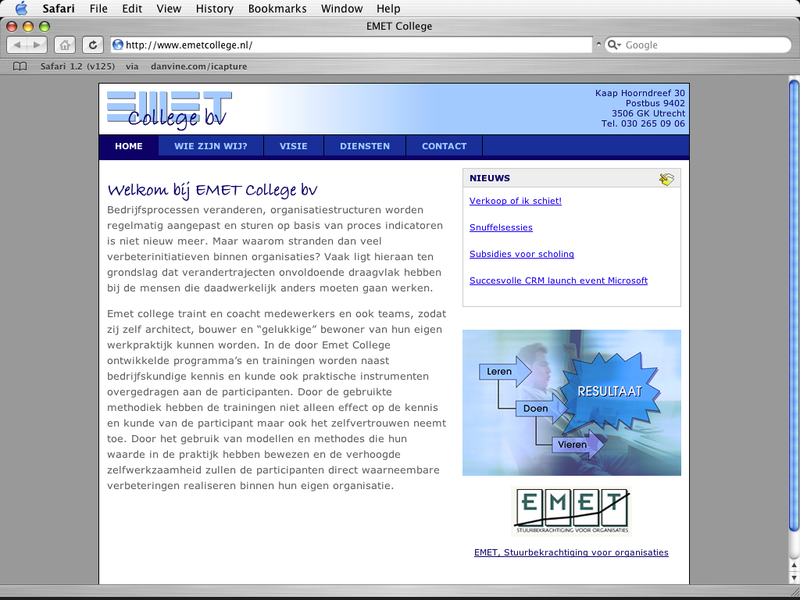 Visit the website at http://www.emetcollege.nl. This entry was posted in Web Design Portfolio by Johan. Bookmark the permalink.